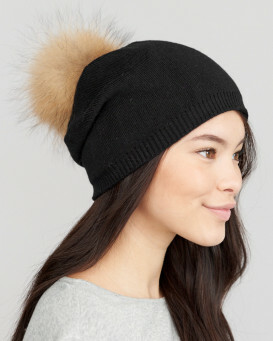 Accentuate your outfit with Chocolate Glitz Beanie with Finn Raccoon Pom Pom for her. This glittery design features distinct ribbed knitting and an adjustable fold over cuff. The lustrous shell is composed of 70% acrylic knit and 30% angora for a comfy and lightweight fit. A large Finn raccoon pom pom is dyed a trendy chocolate brown and removable. This lightweight cap goes great with a white or black outfit. 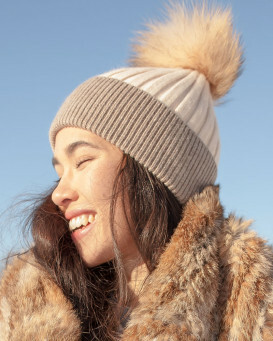 Wear this shining beanie during a fall or winter camping trip to stay warm and cozy. 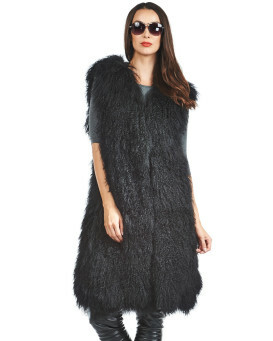 The shimmering design makes all the difference during the most chilly months of the year. 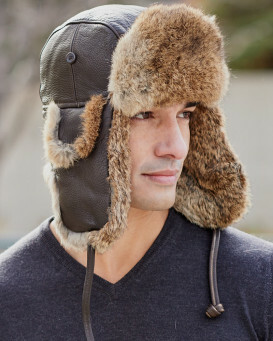 "This hat is both warm and stylish. It is also very comfy and stays put. Easy order and quick delivery makes it a five star item." "Every day use. It is warm good chocolate colored and soft. I get lot’s of comments about it. It’s cute etc." "It's better in person! 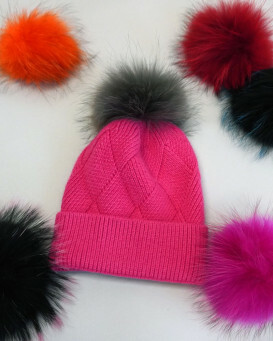 Warm and cute with a REAL fur pom pom and not the ugly acrylic mess...lol"
"Awesome color!! It is very soft and warm. Fits very good"